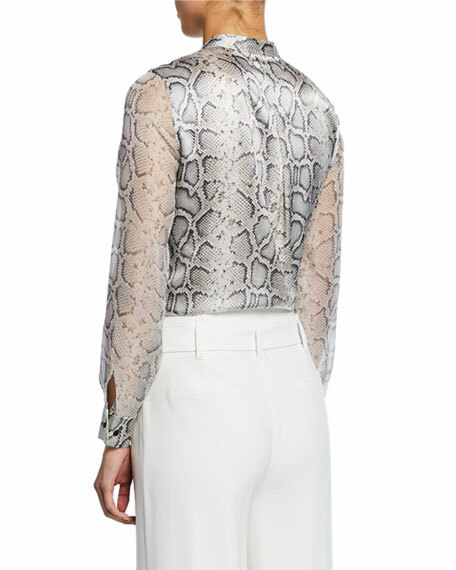 Elie Tahari "Terri" snake-print blouse in silk. 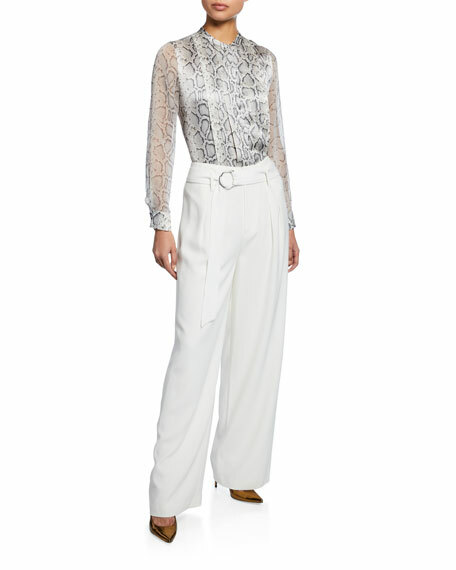 Long semisheer sleeves; button cuffs. 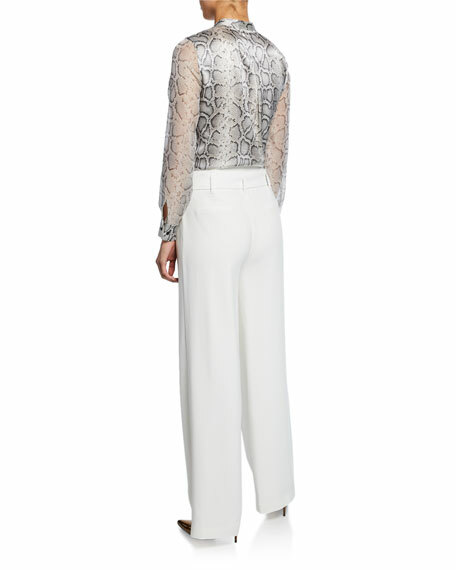 Elie Tahari "Ezmarelda" crepe pants.